Tillgängligheten visas när du väljer detaljerna. 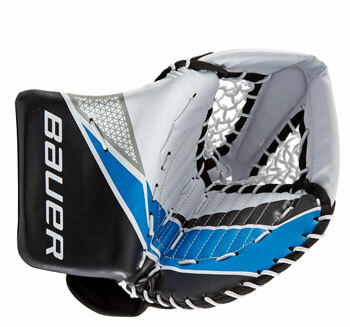 The Bauer Street Catcher Senior is ideal for the goalie who keeps the goal clear at street hockey and floorball. The pre-curved palm allows a quick closing and is designed for an easy break-in. The adjustability ensures a secure fit, so you can keep the box clean in any case. The Street Goalkeeper Catcher by Bauer is very solid and sturdy despite the low weight.